Privately owned secluded deep forest/bog hunting land, with small metal shed style cabin, solar power, wood stove and bunk bed, outdoor portable toilet, shallow well hand pump on site or bring in your own water. Located North west of Phillips Wisconsin off of Hwy F.
1 mile Walk in or ATV access only beyond key locked gate for assured privacy. Extreme trophy Whitetails with numerous mature bucks to choose from in a healthy herd. Black bear up to 600 lbs are common. Sows have cubs every 3rd year. Good populations of grouse, rabbit and turkey on high ground areas of surrounding hills. Lease or rent this private 40 acres surrounded by 8000 plus acres of forest management land by season or year. Renter or Lease holder will have exclusive land access for self or group. Contact us to check availability or book your next adventure. 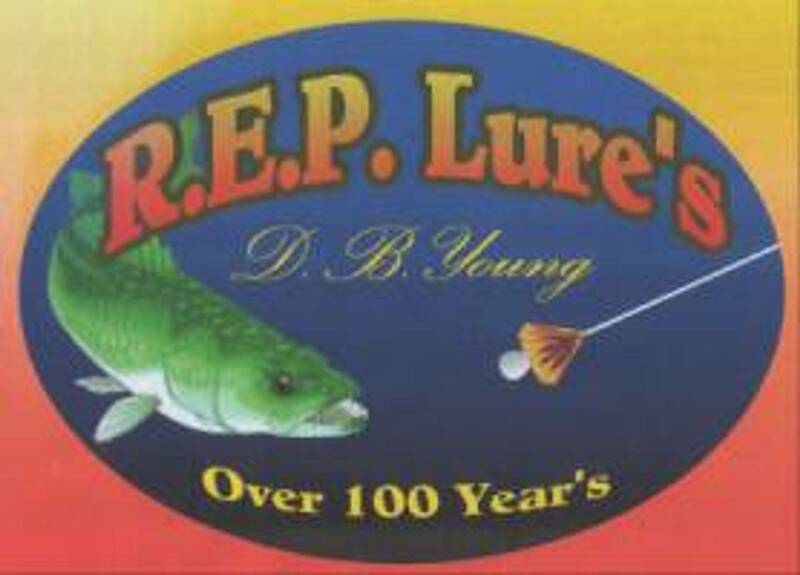 Purchase D.B.Young Jr's book from your choice of retailers by clicking image to the left. 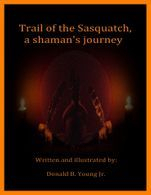 Anyone who purchases this book ''Trail of the Sasquatch, a shaman's journey,'' whether in paperback or e-book version, and enters the contest will be eligible to win a ''7 day 6 night'' stay on the secluded bog island described within the books pages. The winner will have to supply there own food, sleeping bag and personal items or special equipment such as camera's, cell phone's ext. We will supply water, shelter, cooking equipment, bunk beds, wood stove, solar power and portable toilet. The winner will be allowed to bring one guest free of charge to this remote location. Remember, this bog is dangerous with numerous wild animals, forest spirits and cryptids, so we will have winner and quest sign a waver that releases us from all liabilities. Prize can be claimed any time after June 2nd 2017. The seven day, 6 night stay can be spent on the bog island all at once, or split up by day or days at the winners convenience within a two year time after June 2nd 2017. Winner must acknowledge within one month after receiving our announcement, or relinquish prize to another entry. 83 lb dressed out weight. Later when hung here in the pictures, it measured 84 inches. Caught on only 12 lb test line!! This Lake Sturgeon could very well be the Wisconsin Hook and Line record for 12 lb class line. Tracking service is provided at no additional cost for paid hunting guides. Sorry, we do not guide for, or hunt wolves. Research expeditions are treated as hiking camping guides, but are based on guests gratuity beyond a 100.00 attendance fee. 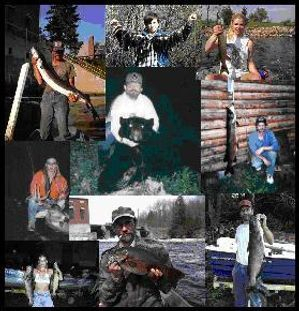 Along with our other outdoor services R.E.P. Lures offers professional tracking of wounded game. This service is performed by professional tracker, D.B.Young himself. Fees vary but are estimated by the mile and hours taken to track and locate the wounded animal. 15.00 per hour tracking rate, starts on location, ends when return to location. Lodging and meals must be provided. Flat rate instead of above is 500.00 per day Plus mileage. Meals and lodging must be provided for additional days and nights if required. Carol and D.B.Young know of several other Lake Sturgeon even larger, just waiting for a guided client to test wits, strength and equipment. Could you be the lucky one to land or keep such a majestic giant? Although the Wisconsin hook and line season for Lake Sturgeon only runs the month of September, we guide all summer and fall for catch and release.